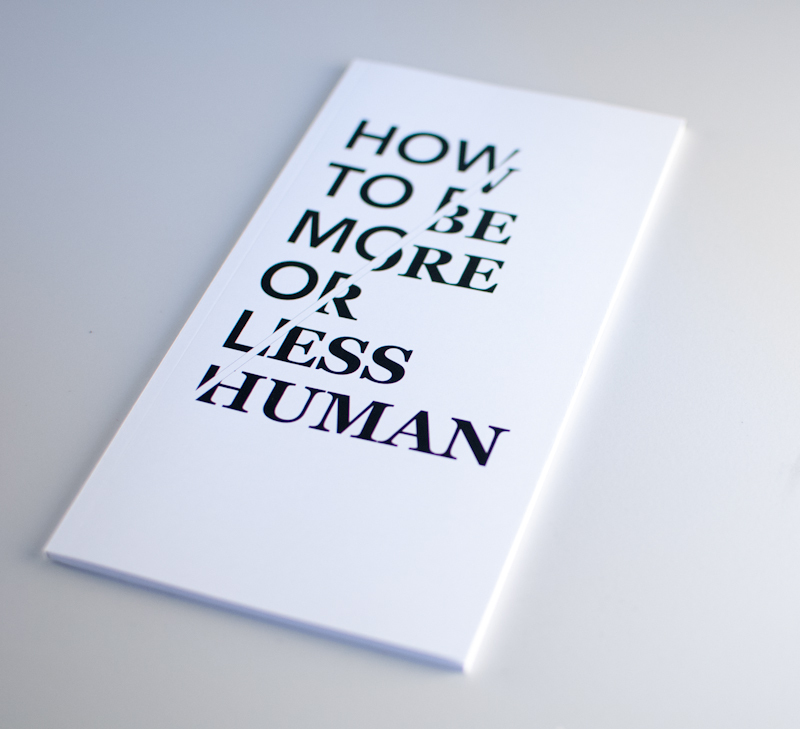 This book is made as a documentation of Max Dovey's erformance How To Be More Or Less Human. How To Be More Or Less Human is a performance investigating how humans are identified by computer vision software. 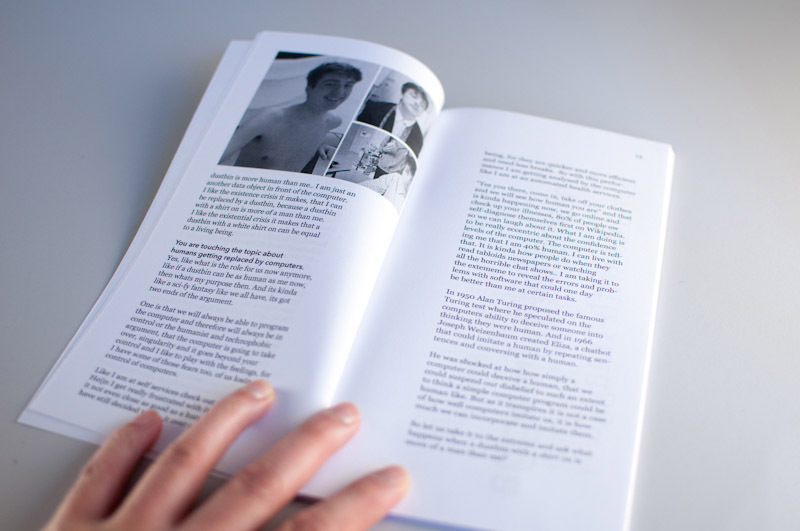 Looking specifically at how the human subject is identified and classified by image recognition software, a representation of the human body is formed. 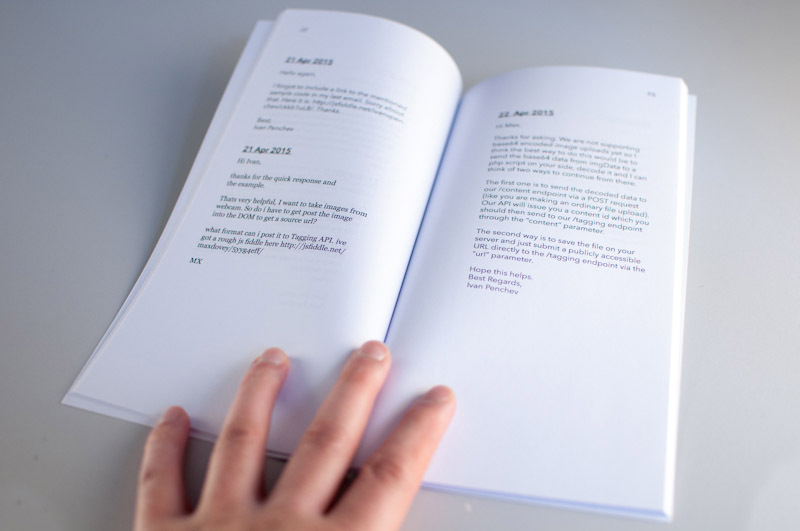 The reason for making the documentation as a book was to utilize the strength of the paper medium. 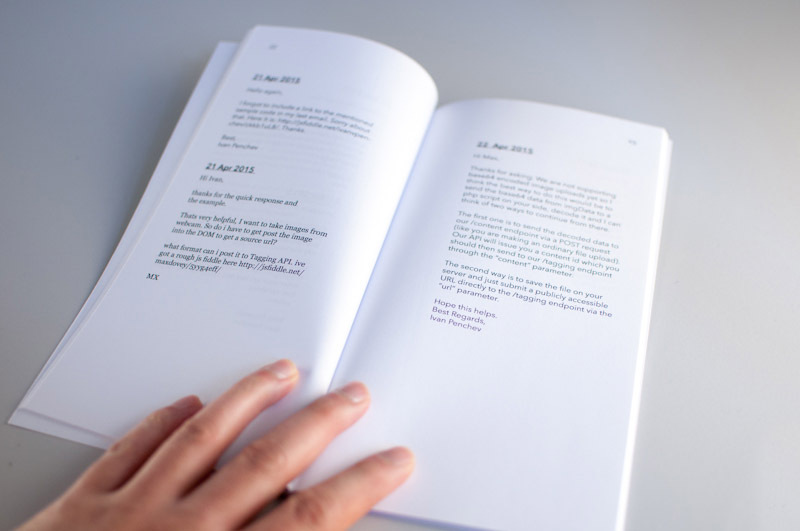 Papers as a storage medium will last longer than a data file in this instance, as the changes in APIs and computer code will leave a digital file unusable in the future - something that has already happened with this project since it was created in 2015. 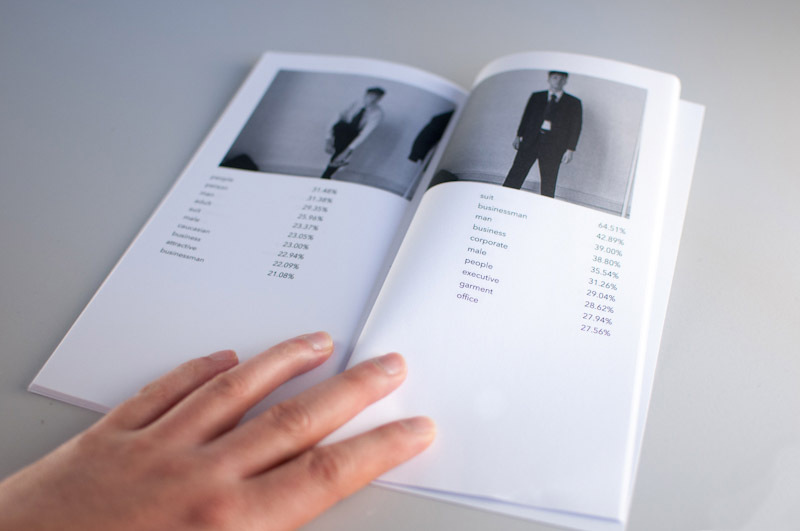 The black and white design reflects the contrast between human and nonhuman, as well as incorporating the typeface sans serif typeface Avenir and serif typefaces Georgia, as a contrast of cold corporate style and the more human.